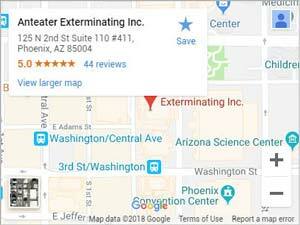 Bed Bug Intensive | Anteater Exterminating Inc.
Anteater Exterminating Inc. is a highly rated service provider. We are currently offering a Bed Bug control intensive treatment. Why You Need This Deal? Bed Bugs can infest your home and feed on any human in the property. It is best to act quickly if you suspect a bed bug infestation. Solve your bed bug control problems cost effectively with this great offer. Precision-placed treatment of key areas inside of the home such as all cracks, crevices, mattress seams, associated furniture or behind switch plates. Offer is for bed bugs only.